We've all have those good intentions before a holiday; you book it, you have 6 months to get in shape, and you think easy right? Until of course, your roommate fancies that Dominoes, that colleague leaves so you have a cake, and then it's your birthday meal and BOOM, the holiday is next week and you still aren't feeling ready to bare all in a bikini. That was me as I headed off very last minute to Dubai a few weeks ago which was guaranteed to be full of tanned, gorgeous people putting my pasty, five foot five body to shame. However, because you can't/shouldn't follow these 'How To Shed 10 pounds in 10 days '(because it would probably kill you) I thought I'd try and find ways to make me feel as ready as possible without faddy diets. Doing my research, I decided to go for a spray tan with Cucumba to hide the British paleness, and gel nails and false eyelashes with Blow LTD. And as a complete novice when it comes to beauty treatments, I will walk you through the processes so you know what to expect! I'd heard of Cucumba when I worked at Cosmopolitan; not only did they have great reviews but they also boasted a no smell spray tan, where you pick an aromatherapy fragrance to add to it. As someone in fear of smelling biscuity, this was my big worry. And being a standard pasty Brit, thought a nice glow would give me a bit more confidence and hide the dreaded cellulite (although I also had a bit of fear of walking out looking like a TOWIE reject i.e. fifty shades of orange). However, when I got there, I was immediately put at ease. Being taken downstairs, they show you the four colours on offer with the palest to the darkest; Sunspray, Celebrity, Chocolate and Sunset. I thought I would be the palest but apparently it's much too pale for most people, so decided to go for a mix of the middle two. 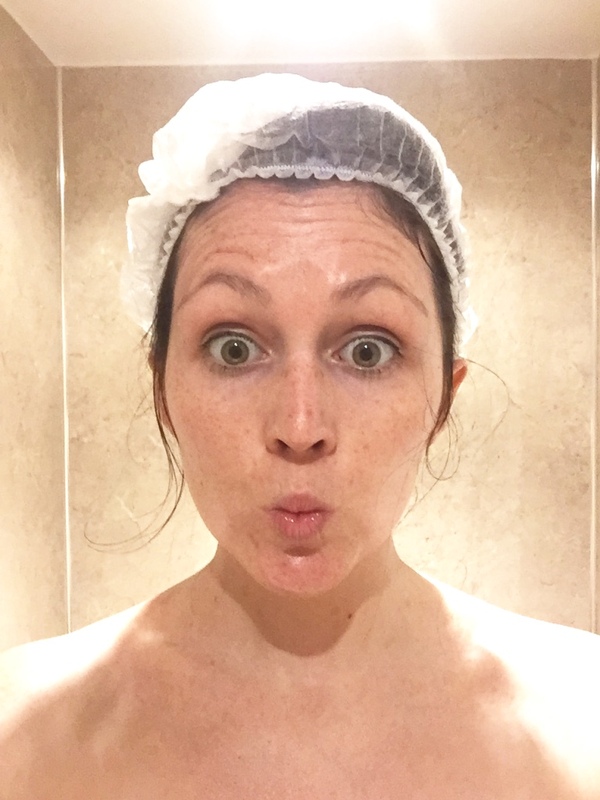 I was sent into a small shower room, where you quickly shed your clothes (and your embarrassment if you feel that) and put on a shower cap and paper thong, ready to be sprayed! If I was in fear of doing a Ross from Friends, it was quickly dismissed when finding out it's not a spray cubicle, but a handheld machine they spray you with. Upon adding the mix of my two colours, they also add something called Black Velvet which prevents orangeness, and the fragrance you want, (I chose linen). It's worth nothing that it only adds that smell for the first day, as obviously it wears off when you shower. Putting vaseline on my fingers and toes (to prevent staining), we were ready to go! She told me all the positions to be in from legs splayed, look front, turn around, do the running man, open my fingers into a claw etc. With a quick buff of my arms and legs to make sure they were even, I came out half an hour later, having entered at 6:30pm and leaving just after 7pm. I must admit they were probably the nicest beauticians I've ever had and I've had my fair share. 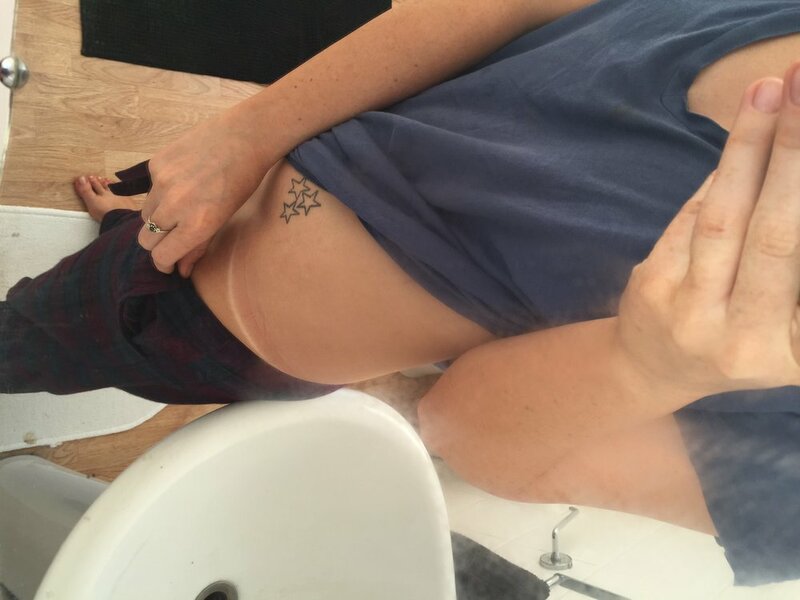 Chatty and friendly, my particular spray tanner had been doing it for 11 years and had great tips on how long it would last (5-7 days), not to be freaked out if it's dark (a lot will washes off), as well as the usual such as sleep on a towel, shower in the morning and always moisturise. Exfoliate and shave the day before. Only moisturise the dry patches such as elbows and toes. Wear dark loose layers, and open shoes. You'll forgo the bra after and probably keep the paper underwear on for ease. Take out all jewellery, remove all makeup and deodorant. Don't be embarrassed as you'll be naked apart from a cap for your hair and a paper thong; they've seen it all before! As a serial nail biter, I've always avoided manicures but knowing we were going to be pretty busy, thought I'd need something a bit more substantial. Being short on time, I went for the gel manicure with Blow LTD mobile service. When they got in touch, however, they also offered an additional service of express eyelash extensions which I thought would be great for the pool, so added them to the beauty for the evening! They can come out to your house pretty much any time, as they use freelance beauticians, so after work on the Friday at 6pm, I met Karlie who came to mine for the evening. Their gel manicures promise up to two weeks of no chipping, so we picked my colour (a beautiful coral of course) and sat down for the next hour whilst chatting about the usual things you do during treatments. What I didn't realise was the amount of time it takes for gel manicures; there are a ridiculous amount of layers, and as she did one hand, the other hand went into the UV machine. And with the prep of a base coat and top coat, it made me realise how much I'd been neglecting my poor hands. The next hour was the express eyelash extensions; this was a slightly confusing element on being asked what I wanted and knowing nothing, so I let her choose for me with the individual lashes, going for length as opposed to thickness. I must admit, be aware if you have sensitive eyes; I didn't think I did but when adding individual lashes, you need to have your eyes slightly open. On doing this, my eyes starting leaking profusely and blinking too much to make it work. Instead, I had to shut my eyes, which then led to most of them sticking to my lower lids and having to spend a half an hour unpicking them. Luckily, you can get eye pads which they put underneath which stop them sticking, so would definitely recommend requesting that if you do tend to blink a lot. Make sure you have a good service such as a table and even a good place to recline when doing eye treatments. Give yourself more time than you think, as it always takes longer! Be careful if you have sensitive eyes as it may be hard to use fake lashes. DO NOT pick any treatment off; for nails, get them removed a few weeks later by professionals, and for lashes, buy professional false eyelash remover cream. Don't have a hot shower or head into a pool 24 hours after false eyelashes to prevent the glue melting. I will say this; heading to Dubai with a glowing tan, glamorous nails and statement eyelashes, meant I felt ready for any beach party with minimal effort. And whilst my fake tan has gone, my normal tan has topped it up, and I'm typing this a week later with unchipped nails and fluttery eyelashes still. Thanks so much to Cucumba and Blow LTD for the beautiful treatments; you've converted me!